Home / news / IS THAT THE REASON FOR THOSE CRITIQUES? IS THAT THE REASON FOR THOSE CRITIQUES? Hindu groups have expressed deep concern over the appointment of Putta Sudhakar Yadav as Chairman of the Tirumala Devasthanam. He is a Christian martyr, and he is the one who gives him the TTD. The government decision was drafted by the anti-Vishwa Hindu Parishad in the letter of Telangana. Earlier, the anti-RSS squad was apparently appointing Putta Sudhakar Yadav as TTD chairman. Later, various pedophiles began criticizing. Critics say Sudhakar Yadav is close to Christian institutions, and many times he has attended Christian meetings. These are the arguments of those who have full confidence in Hinduism. However, the TATA chairman was in the race for Putta Sudhakar for about 10 months. No such criticism was heard at that time. But after the split of the BJP-TDP, many people are doing the wrong thing that Sudhakar's appointment is wrong. After the split with the BJP, Chief Minister Chandrababu took a decision on the appointment of the chairman of the TTD. 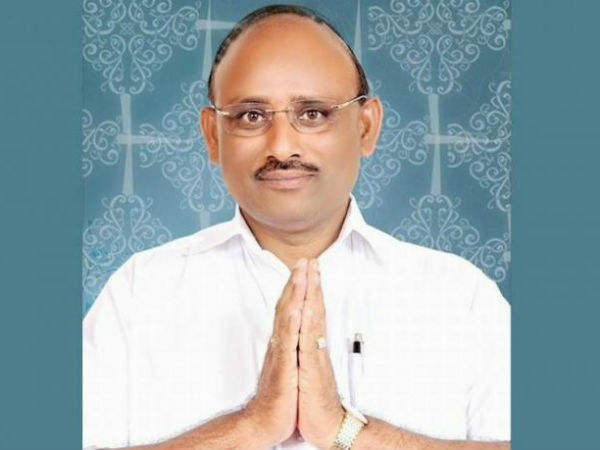 Putta Sudhakar has been elected for vacant post for months. Now the TDP is trying to bother the government and Chief Minister because TDP is not their ally. Hearing that the saffron party is expanding the controversy over the recruitment process. The GO was not released on the appointment of Sudhakar. Criticisms about this are not without official announcement. The Chief Minister is likely to reconsider the appointment of the Chairman of the TTD. Overall TTD Chairman Issue is interesting in Telugu. To get a clarification on this issue, wait a few more days.